You wake up in the morning, open your eyes and hear a strange rushing sound coming from the bathroom. When stepping out of bed, your feet go squish on the carpet. OH NO! Big leaks are easy to detect and demand immediate attention. If your business was not recording and therefore not billing or collecting 25% of its revenue, you would probably notice. And you would probably immediately put systems, policies and procedures in place to ensure your business was recording (and billing and collecting) all of its revenue. But would you notice if your business was not recording (and billing and collecting) 1%-5% of its revenue. If you did eventually notice, how long do you think it would take you to notice? 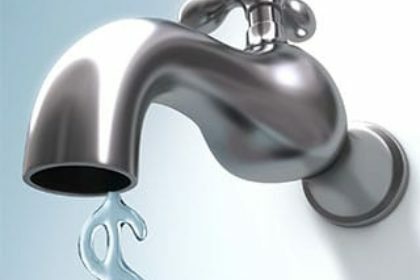 Noticing your “small leak” may take months and months or even years, all the while, your business would be not recording (and billing and collecting) 1%-5% of its revenue, literally compounding the problem on a daily basis. Small leaks can be a maddening death by a thousand cuts. 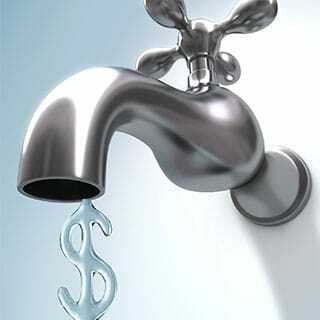 So, how do you know if your business is leaking revenue? Many service businesses record revenues through the use of multi-part, paper service tickets which may get reviewed in the office, approved in the field, keyed in at the office and then turned into invoices. The chances of paper tickets getting lost or destroyed increase each time that ticket is transported or delivered from one person to another. Service businesses that pay their field employees based on the time on those service tickets may believe they have a great control on revenues through employees vigilantly watching the hours on their paychecks. But some employees may not notice a 1% (a half hour per week based on a 55 hour workweek) shortage on their checks. Another problem with this control revolves around when the parts of the multi-part ticket get separated. Usually the copy that goes to payroll is the first copy separated from the multi-part paper ticket. After the copy goes to payroll, the rest of the ticket may still have to be reviewed in the office and approved in the field by the customer before it goes back to the office to be entered into the revenue system. As the paper ticket travels on its journey into and out of the field and between various individuals, it could get lost or destroyed, causing revenue leakage. Every service company has a tale of the stack of tickets from the past that are found in someone’s truck, desk drawer, at the employee’s home, in a customer’s office awaiting approval, etc. Also, employees may just forget to complete a service ticket, especially if their pay is not directly linked to their service tickets. Capturing revenue generating activities in the field in a digital format can put a stop to revenue leakage. The closer information gets captured to where and when the revenue generating activity is takes place, the more likely the information captured is going to be complete and accurate. Providing a digital, easy to use solution to capture these activities in the field can help further increase the completeness and accuracy of the information. Digital field activity capture using a mobile computing device (laptop, tablet, phone, etc.) allows the information to be immediately sent to the cloud, dramatically increasing the chances the business will record (and bill and collect) the revenue related to that field activity. Don’t allow your revenue to be impacted by persistent small leaks caused by utilizing outdated multi-part paper service tickets. A $50 million/year service business that has a “small” revenue leak of just ½ of 1% is not recording (and billing and collecting) $250,000 of revenue a year, more than offsetting the costs of moving from paper service tickets to digital information capture of field activities.